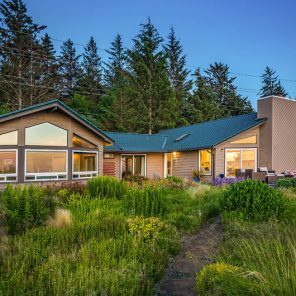 Set on 1.18 private acres in the Puget Sound, this home on Whidbey Island is the perfect wilderness escape. 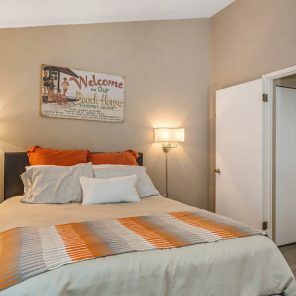 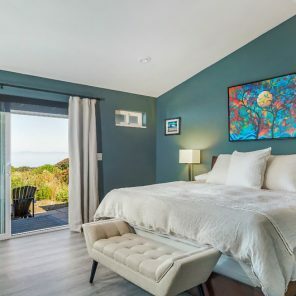 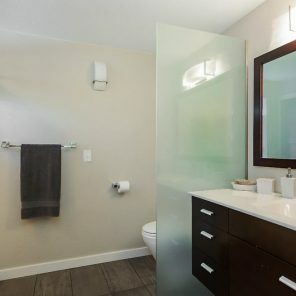 The main feature of this waterfront property is the 1,990 square foot, single-level, two bedroom, two bath, recently-remodeled contemporary home. 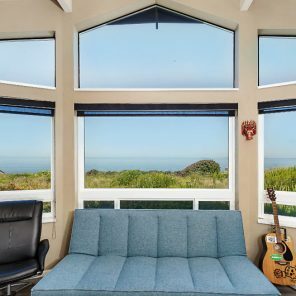 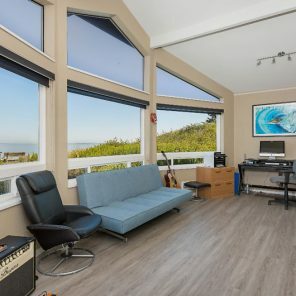 Also included is a detached studio with panoramic views of the water, offering flexibility and extra space for houseguests, a home office, or a quiet art studio. 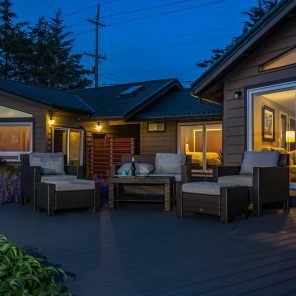 The western facing property offers views of the San Juan Islands, Vancouver Island, and the Olympic Mountains. 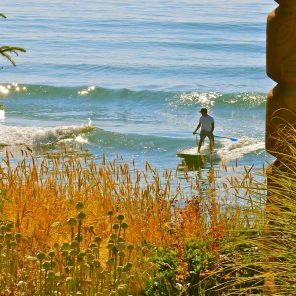 Whidbey Island is located in the Salish Sea, between Vancouver, BC and Seattle, WA. 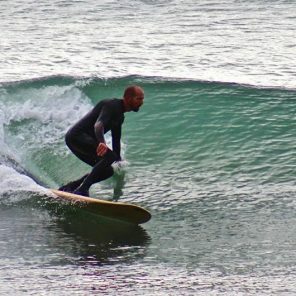 Vehicle access to the island is available by ferry or bridge. 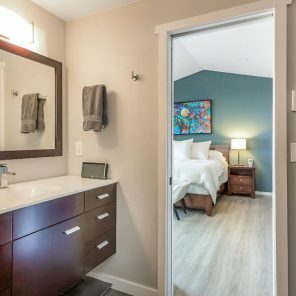 Bellingham International Airport is a short, 45 minute drive, and Seattle International Airport is a 2 hour drive. 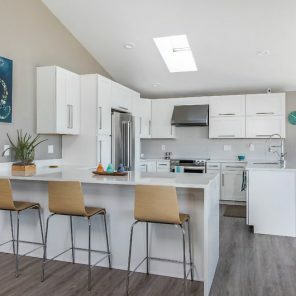 The area is an outdoor enthusiast’s dream with endless hiking and biking trails, and water activities include surfing, fishing, kayaking, and sailing, among others. 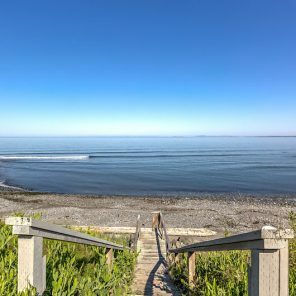 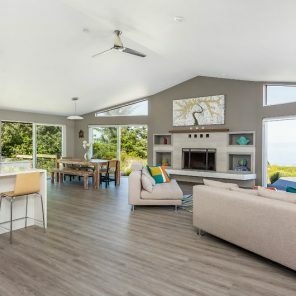 Surfwise, Whidbey is one of the best kept secrets in the Pacific Northwest, and the home is one of the only with direct access to the best and most consistent spots. 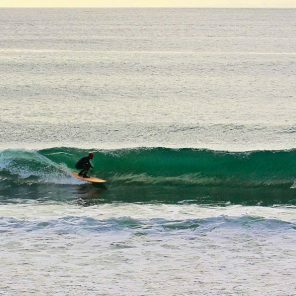 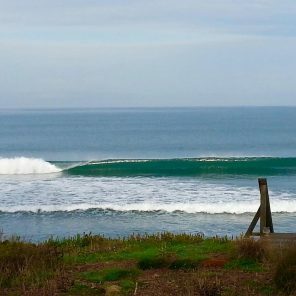 When Northwest swells march through during the winter months, they light up a series of lefthand point breaks just steps from the house. 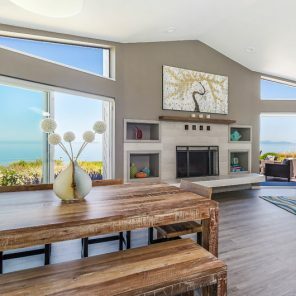 For serious inquiries, please contact Anita Johnston by email at anitaj@windermere.com, by phone at 360-320-7634, or through the full listing here.